A great amount of things can be down before playing, all this aims to getting the higher scores and upgrade the levels. Thus, what do you want to say about the phenomenon. It is bound to that you have done it in elder scrolls. Make, remake, remake, make an alt, characters trying to get the right mix of what we want. 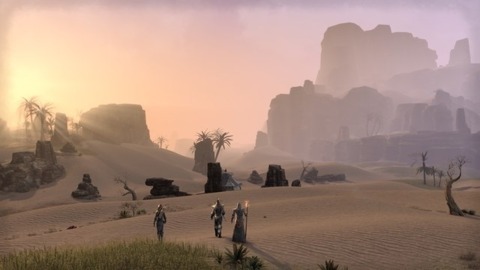 Do you see this happening with ESO? How many do you think you’ll make before you’re comfortable? I’m guessing by my 6th, myself. Although I tried a Sorcerer and it was pretty fun. Beta helped me decide on my character’s appearance and race, so I know I will be playing a wood Elf for sure. I already had planned being ad anyway. There is someone said that I am not sure. I promised myself that I would only make 1 character since when you get to cap from what I understand you can still play the other factions quests. If not then the most I will make is 3 with 1 being in each faction. However I hope to be able to just make 1 & just concentrate on that 1 fully as that would be a new concept for me. I have a problem with making too many alts & never really focusing on end game too much until I get bored leveling alts. So I wanted to try a different approach with the elder scrolls online. I have always played tanks as my main so I think I will continue the trend. I don’t think I will have to worry too much about trashing.